The EBNF is the most commonly used formalism to describe the structure of languages. The EBNF is a way to specify a formal language grammar. It can be considered a metalanguage because it is a language to describe other languages. 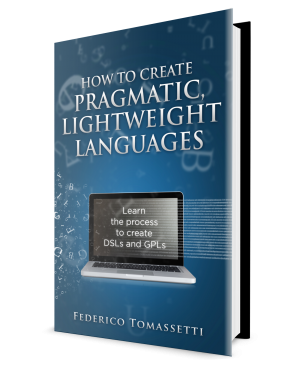 A formal language is a language with a precise structure, like programming languages, data languages, or Domain Specific Languages (DSLs). 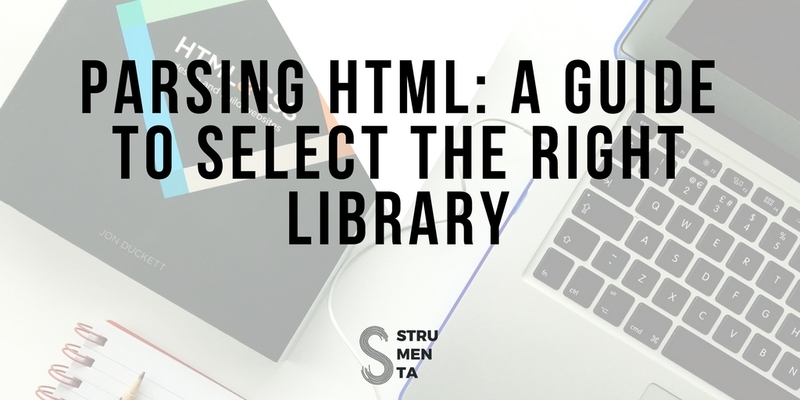 Java, XML, and CSS are all examples of formal languages. For example, a simple grammar could tell us that a document in our language is composed by a list of declarations, and declarations are defined by the sequence of a keyword Xyz and a a name. While there are two possible usages for a grammar, we are typically interested only in the first one: recognizing if a piece of code is valid for a given language and identifying the different structures typical of the language (like functions, methods, classes, etc.). Ok, but what EBNF stands for? EBNF stands for Extended Backus-Naur Form. It will not surprise you to read that it is an extended version of the Backus-Naur form (BNF). There is at least another format derived from BNF which is called ABNF, for Augment Backus-Naur Form. ABNF main purpose is to describe bidirectional communications protocols. EBNF is the most used variant of the format. While there is a standard for EBNF it is common to see different extensions or slightly different syntaxes to be used. In the rest of the article we will add more comments when looking a specific parts of EBNF. Why BNF Is Not Enough? EBNF was invented to overcome the limitations of the base format. The main one is the non-existing support to easily define repetitions. That means that with BNF common patterns, like defining a series of repeatable elements, is cumbersome and relies on counter-intuitive logical math. For example, to define a list of words separated by a comma (e.g., john, coffee, logic) you would like to say something similar to “a list is one word followed by a many pairs of comma and word”. You can say like that with EBNF. Instead in the basic BNF format there is no equivalent of “many”. So to describe the same thing you would have to say something like “a list is one word or a list followed by a pair of comma and word”. This works, but it is complicated because it does not define one list, but a nested series of lists. Basically, the previous example would be “john, coffee, logic is a list of john and , followed by list of coffee and , and logic“. We are going to see some examples of grammars taken from a list available on github. Later we could refer to them while explaining the rules. Note also that for each language you could have different equivalent grammars. So for the same languages you could find grammars which are not exactly the same and yet they are correct anyway. TinyC is a simplified version of C. We picked it because a grammar for a common programming language would be way too complex to serve as an example. 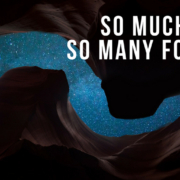 We would be typically look at grammars longer than 1,000 lines. How We Typically Define a Grammar Using EBNF? We define a grammar by specifying how to combine single elements in significant structures. As a first approximation we can consider single words to be elements. The structures correspond to sentences, periods, paragraphs, chapters, and entire documents. A grammar tells us what are the correct ways to put together single words to obtain sentences, and how we can progress by combining sentences into periods, periods into paragraphs and so on until we get the entire document. In the approximation we used, single words correspond to terminals, while all the structures built on top of them (sentences, periods, paragraphs, chapters, and entire documents) correspond to non-terminals. Terminals are sometimes also called tokens. They are the smallest block we consider in our EBNF grammars. For example, in the grammar you could use "when" to indicate that exact string. Also regular expressions are used, like /[a-z]+/. Finally we could group terminal definitions somewhere and then use their names to refer to them. Using definitions have the advantage of permitting to reuse them multiple times. identifiers: these are the names used for variables, classes, functions, methods and so on. Typically most languages use different conventions for different names. For example in Java class names start with an upper case letter, static constants are written using all upper case letters, while methods and variable names start with a lowercase letter. However these are just best practices: in Java there is just one type of identifier that can be used everywhere. This is not the case for all the languages. In languages like Haskell, identifiers used for types must start with an uppercase letter. Another thing to consider is that the definition of identifiers typically overlaps with the definitions of keywords. The latters should take precedence. I.e., if a token could be either an identifier or a keyword than it should be recognized as a keyword. Whitespaces and comments are typically ignored in EBNF grammars. This is because usually they could be used everywhere in the language, so they should be reported all over the grammar. Some tools have specific options to mark some terminals as terminals to ignore. Terminals are defined using string constants or regular expressions. Let’s see some typical definitions. 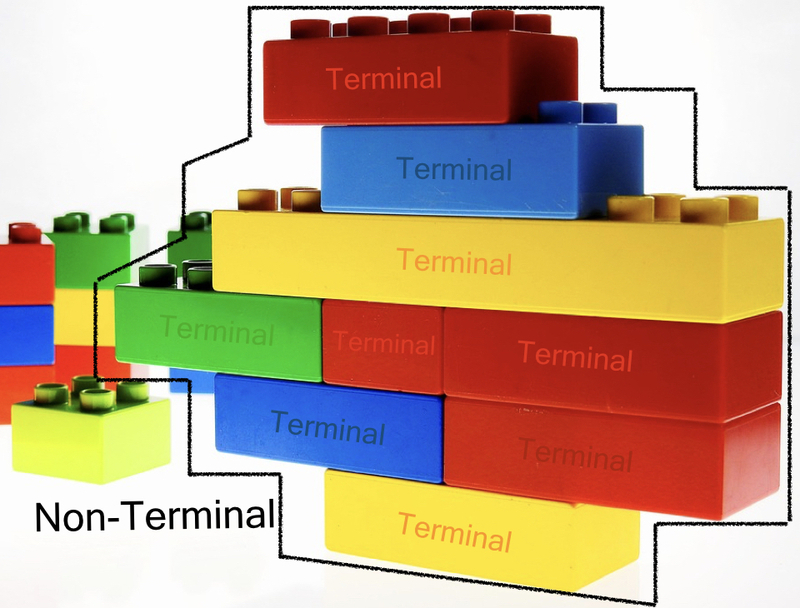 Non-terminals are obtained by grouping terminals and other non-terminals in a hierarchy. After all our goal is to obtain an Abstract Syntax Tree, which is a tree. Our tree will have a root: one non-terminal representing our entire document. The root will contain other non-terminals that will contain other non-terminals and so on. 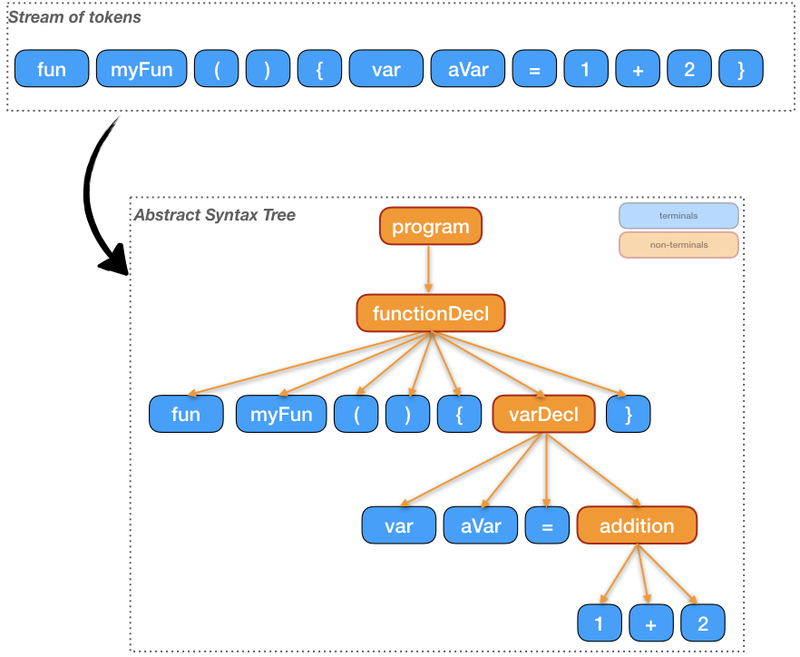 The picture below show how we can go from a stream of tokens (or terminals) to an AST, which groups terminals into a hierarchy of non-terminals. 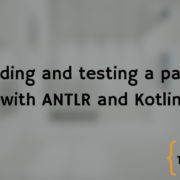 In the grammar we will define the parser rules that determine how the AST is built. How non terminals are defined? We are going to see it in the next section. An EBNF grammar is substantially a list of production rules. Each production rule tells us how a non-terminal can be composed. We are now going to see the different elements that we can use in such rules. 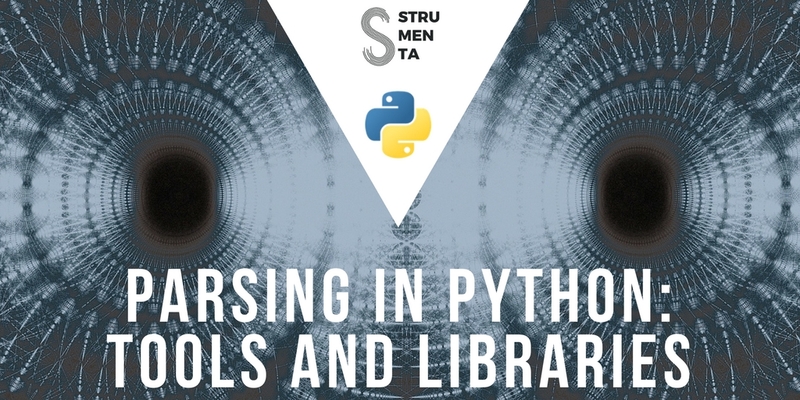 We have seen that a terminal can be defined in-line, specifying a string or a regular expression, or can be defined elsewhere and simply referred to in a rule. The latter method is not technically part of EBNF, but it is commonly used. Similarly to references to terminals we can also refer to non-terminals. However this can lead to left-recursive rules that are typically forbidden. For more details see the paragraph on recursion in grammars. A sequence is simply represented by specifying two elements one after the other. It is also called concatenation, and in the standard EBNF commas are used between elements, while typically you just use spaces to separate the elements of the sequence. An element can appear zero or one time. In other words it can be optional. In the standard EBNF optional elements are represented inside square brackets. However it is more common to find them represented by a question mark following the optional element. An element can appear zero or more times (no upper limit). // as many times as we want. In the standard EBNF optional elements are represented inside curly brackets. However it is more common to find them represented by an asterisk following the element to repeat. An element can appear one or more times (no upper limit). In this example we are saying that a program should have at least one statement. This is not present in standard EBNF, however this is equivalent to a sequence in which the same elements is present twice and the second time it is followed by an asterisk, so that the same element is effectively present always at least once. We can group multiple elements together by using round parenthesis. This is typically used because a modifier (optional, zero-or-more, one-or-more) must be applied to a set of elements. It can also be used to control the precedence of operators. Without using the grouping we would have an alternative between the sequence of SCRIPT_OPEN SCRIPT_BODY (first alternative) and SCRIPT_SHORT_BODY (second alternative). We have seen what constructs we can use to define production rules. 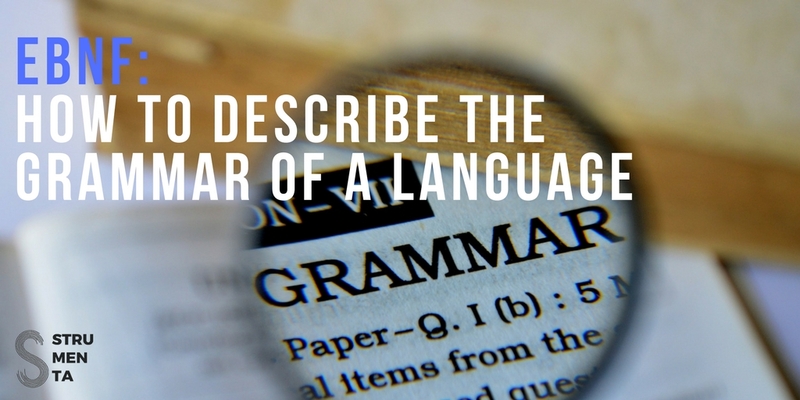 Now let’s dive in some aspects that we should consider when writing grammars. Recursion in Grammars: Left or Right? EBNF lets us define recurring grammars. Recurring grammars are grammars that have recurring production rules, i.e., production rules that refers to themselves and they do so at the beginning of the production rule (left recurring grammars) or at the end (right recurring grammars). This production rule is left recurring because the expression could start with… an expression. The fact is that many tools that process EBNF grammars cannot deal with that because they risk to enter infinite loops. There are ways to refactor left recurring rules, however they lead to less clear grammars. So, if you can, just use modern tooling that deal with left and right recurring grammars. Precedence could refer to two things: precedence in the EBNF grammar (i.e., in which order operators in grammars are applied) and precedence in the languages defined by EBNF. In this case we all know that the multiplication has precedence on the addition. In the languages we are going to define we can have many different rules and we need to define a specific order to consider them. The grammar as it is defined makes first parse single terms (id, integer or expressions between parenthesis). Later this can be possibly combined using the plus or the minus sign. Then the less than operator can be used and this can be part of an expr, the top level rule considered. This is a relatively simple example but in richer languages we could have 7-12 intermediate rules like test and sum, to represent different groups of operators with the same precedence. Thing about the multiplication, division, power, comparison operators, logical operators, array access, etc. . There are many possible ways to build expressions and you need to define an order of precedence. A typical thing we want to define in an EBNF grammar is a list. We have list of parameters, list of variables, all sorts of lists. We have seen that the EBNF can be used to define a grammar, we should consider that a grammar defines what is syntactically valid, but it tells us nothing about what is semantically valid. We can imagine a language where all these examples are syntactically correct, i.e., they are built according to the grammar of the language. However they are all semantically incorrect, because they do not respect additional constraints on how the language should be used. These semantics constraints are used in addition to the grammar, after the structures of the language have been recognized. In the grammar we can say things like a declaration should be composed by a certain keyword and a name, with semantic constraints we can say two declarations should not have the same name. By combining syntactic and semantic rules we can express what is valid in our language. How do you define semantic rules? By writing code that works on the AST. You cannot do that in the EBNF grammar. An EBNF grammar is useful to support discussion and to communicate with other langue designers. 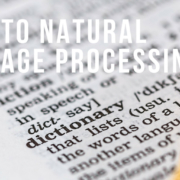 Typically you may want to do more with it: you want to build actual parsers and tools to process languages from your EBNF grammars. 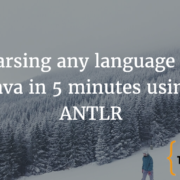 I personally like to work with ANTLR. 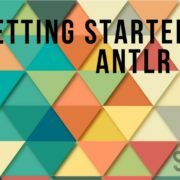 My suggestion is to take a look at the ANTLR Mega Tutorial. And if you are lost and unsure about how to move forward just let us know. 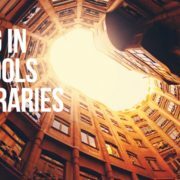 In this article we aimed to be practical: we have discussed what is done in practice and what you need to start writing grammars using EBNF. We have discussed the differences between typical usages and the standard and tried to give a complete and correct picture. There are things we did not discuss: for example the history that lead to the creation of EBNF or its roots in the work from Chomsky and other scientists. We have not discussed what a context free grammar is. The theory tells us that EBNF cannot be used to describe all possible forms of grammars. However it is powerful enough to describe all formal languages you should be interested in writing. In the rest of this website you should find articles about the next steps like building a compilers or an editor for your language. So, have fun! Do You Need a Parser? 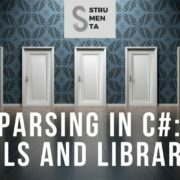 We can design parsers for new languages, or rewrite parsers for existing languages built in house. 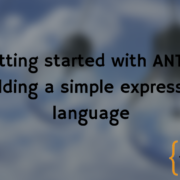 On top of parsers we can then help building interpreters, compilers, code generators, documentation generators, or translators (code converters) to other languages.